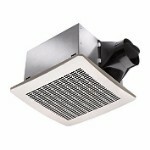 Mirror fog is not the only thing that the best bathroom fan can help get rid of, but also mildew and mold. Steamy fog would often greet you when you get out of the shower and breathing it makes you feel more energetic. Motivation goes up, stress goes down which makes a great start to face all problems out there. But once before the mirror to dry your hair, you wipe out the fog from its surface, but it fills back again almost immediately. All of a sudden, the flow of pleasure cuts short. One of the best bathroom fans is what you need. 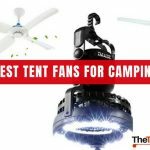 How To Find The Best Bathroom Fans Today? Making a choice out of this plethora of bathroom fans isn’t an easy task. There are many aspects to consider in order to pick the best bathroom fan and one of the most important ones are air movement issues, exhaust features and design. 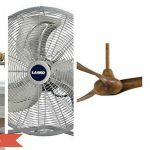 Bellow you’ll find a chart which will help you decide on the fan that suits best. Fan capacity is one of the features you want to know about in order to find the best bathroom fan for you. The fan capacity is measured in CFM (Cubic Feet per Minute). A low CFM capacity fan is almost useless in some cases. There is a minimum amount of air movement required in order to effectively remove mold and mildew found in your home. 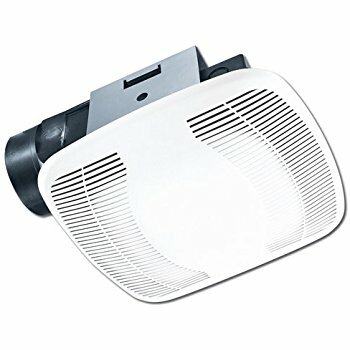 According to Homedepot , for bathrooms 50 square feet and smaller, a 50 CFM fan is sufficient. But for larger bathrooms, get a higher CFM bathroom fan. Enough CFM is necessary to refresh the entire atmosphere of your bathroom and to be most effective, it’s advised that the entire cubic feet of air of your bathroom be refreshed every 7.5 minutes. How can I calculate the CFM I need? First, you should calculate the cubic feet of your bathroom and which is equall to : length x width x height of your bathroom. Usually, in a standard home, the height of ceilings is equal to 8ft, and the width and length of many bathrooms is 9 and 11 feet respectively. So if we do the math, the cubic feet would equal 8 x 9 x 11 = 792 cubic ft. In order to refresh 792 cubic feet every 7.5 minutes, the flow rate needed equals 792 divided by 7.5 or 105.6 CFM. If your bathroom is smaller than that, a 50 CFM Fan is what you need as most building codes require a minimum 50 CFM. 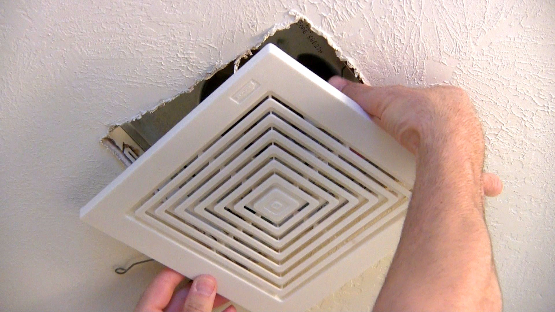 One of the important tasks of a bathroom fan is reducing moisture. Venting moisture from your indoor environment is crucial as it prevents it from building up which may result in damaging your bathroom. Moisture can go into the pain and start corroding out wall screws and nails. A corroded edging in a wall is not a nice thing to see. In addition to mildew and mold that could grow out of moisture, your file tile is also under threat. For these reasons a bathroom fan is an essential component of a modern home today. Prior to taking a shower, you can turn the fan on so that you can prevent a great deal of moisture build-up from happening. You can say goodbye to the annoying foggy mess all by keeping the environment warm. 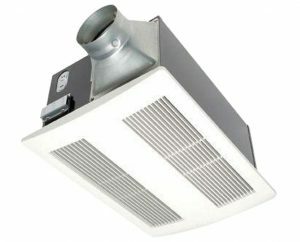 When it comes to noise and money, the best bathroom fans doesn’t consume much power and are known to be quiet. Another important usage of these fans is exhausting. In addition to removing moisture, they are also able to remove different types of odors as well as other contaminants from a confined space that may be affecting the indoor air quality. This is why a bathroom fan is not only used for bathrooms, but some people used them also in a workshop area, laundry room and other closed spaces in order to keep a good air around. One of the interesting features found in the best bathroom fans is the built-in damper. It allows the fan to focus on the air inside the space itself. 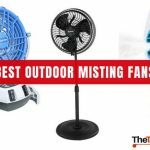 As opposed to some poor fans which let the outside air comes in when wind blows, the best fans will vent the air to the outside instead. This is important as it allows you to manage your interior temperature more effectively without having to worry about additional damage that may be caused by moisture. There are other added features which the best bathroom fans are equipped in order to be on the top of the list. The small heater is one of these common added feature and which can be used in conjunction with the fan. This heater is a very nice feature which will help keep the warmth in the bathroom so that you don’t feel cold every time you step out of the shower. 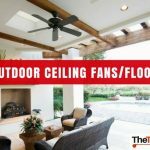 There are other features that may be included with certain ceiling fans like variable speeds, nightlights and rust proof paint. So before spending a dollar on a bathroom fan, make sure you check our reviews in which you can examine the different fans features. On average, the best bathroom fans cost around $100. A fan sold at this price is basic but can be enough depending on the usage and frequency. Some models of this price range are quipped with motors designed to run slowly in order not to damage the unit. 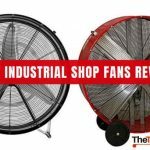 You can always find fans with a lower price tag, but make sure to read our reviews in order to know the differences between models. The price of the ceiling fan doubles when features like night light and heating element are added. 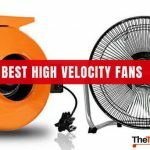 At a price ranging from $250 to $300 on websites like Amazon, you can get the top of the line bathroom fans. The price of bathroom fans are generally low when it’s not the peak construction season and you can even get on for about $60. 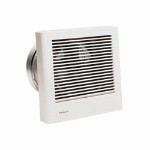 Rated 110 cubic feet per minute, this Panasonic Whisper Warm is one of the best bathroom fans found in the market. This ceiling fan is designed with a tubular heating element sheathed in stainless steel. For optimal heat transfer, this heating element has a Nichrome wire with magnesium oxide. This is one of the design features which makes this Panasonic stand out in its category. It also has a blower wheel responsible for drawing air in both sides so that it allows more area for air to enter through it. 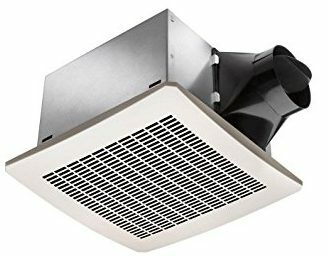 In the customer reviews, many owners of the Panasonic FV-11VH2 reported that it’s really quiet in comparison with other bathroom fans they known. 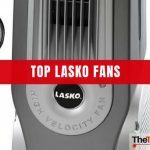 This Panasonic FV-11VQ5 has received a very high rating in Amazon’s Household Ventilation Fans category with 4.7 stars out of 5 based on more than 1000 customers. Many customers reported that this ceiling fan is quiet while moving the air. 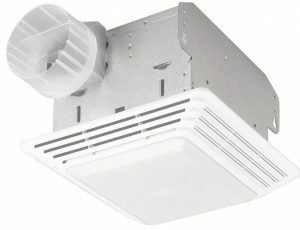 When it comes to industry standard, The Panasonic Whisper Ceiling is an ENERGY STAR Certified unit for Energy Savings. 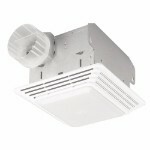 It’s ideal to vent moisture and prevent mold and mildew growth. It has a double hanger bar system that makes it ideal for positioning. You can also use it with a GFCI branch circuit wiring. 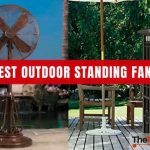 The Air King BFQ 90 is one of the low cost ceiling fans in our reviews list. It’s also one of the easiest bathroom fans to install thanks to its snap-in mounting system. That doesn’t necessarily mean that it’s of a poor quality, not at all. As mentioned in it’s title, the high performance of this Air King have been testified by many customers who commented on this product on Amazon. This 90 CFM fans can also handle continuous operation. And for quiet operation, it features a 4″ plastic duct collar with back draft damper. It’s also made of plastic which means no rust. The 100 and 110 CFM models are also available. The BreezGreenBuilder GBR80 another affordable fan under the $100 range and which has got a great deal of positive customers reviews. This fan is also quiet as reported by many customers. The manufacturer says that perfectly quiet operation at less than 0.8 Sones. After installation, you can hear the quiet of the fan while moving air. If you hear buzzing or humming it may be because of installation. It’s another Energy Star certified bath fan. It has also an important small detail which is a green light indicator so that you know that the fan is on. According to Delta Breez, the BreezGreenBuilder GBR80 costs approximately $10.95 per year for 24/7 full speed operation which less than a dollar per month ! The Broan 679 is another 70 CFM bathroom fan at you service to Improve your indoor Air Quality and Prevent moisture related Damage. It’s a ceiling-mount fan that you can use over your shower and bathtubs and connect it to GFCI-protected branch circuit. When it comes to the design, it’s a very plain one, but the installation is pretty simple for a bath fan and important to note that it connects to a 4″ duct, so if you have a smaller one, you should buy an adapter. 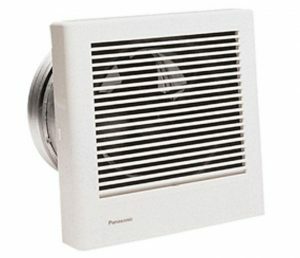 This Panasonic WhisperWall is different from all the others as it’s a wall mounted bathroom fan. 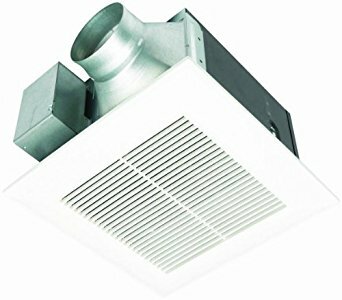 This is useful for people who haven’t the possiblity to install a fan in the ceiling. This fan has the ability to let more air enter the wheel because of the blower wheel design than can bring air in from both sides. It can run continuously and customers are happy with it as it’s quiet enough for a bathroom fan. It also comes with an exterior hood and comes with a back-draft damper. This one operates at a rate of 70 cubic feet per minute. Installing a bathroom fan, like everything else, requires careful handling. One of the requirements that a bathroom fan necessitates is an exhaust port for the van. So installing one somewhere on the exterior of your home is must. Another option is possible if you plan to place it over the shower or tub enclosure is to place the ceiling fan and attach it to a GFCI ( ground fault circuit interrupter) set of home circuits. 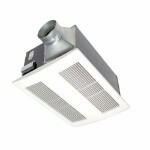 Some bathroom fans have the possibility to be installed with an existing HVAC system. I would like to remind you one more time that in order to get a good exhaustion experience, the ceiling fan should have 1 CFM per square foot of space. In other words, a 150 CFM ceiling fan should be fine for a 150 square foot bathroom. In case you need a fan featuring variable speeds, It’s advised that the maximum speed should be twice the minimum rating requirement for your bathroom. That is, getting a fan which variable speed is equal to your minimum requirement is not the best choice. Some ceiling fans would make your life easier as they are installed via a simple spring mechanism which holds them in place. Other models attach to a stud or joint similar to installing a fixture box. After that, and depending on the model, the fan’s grill or grating will also snap into place. Many models are made from plastic and a good one should have anti-moisture features. Plastic is used because metal grills corrode in absence of protection. In the other hand, plastic does have cons as they can crack. 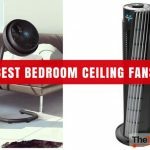 In order to pick the most suitable one for you, find on this page the best bathroom fans reviewed and decide by yourself. I hope our best bathroom fans reviews were helpful for you. 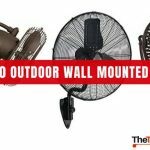 So don’t hesitate to bring more security to your home by getting one of these affordable bathroom fans that will fight mold and mildew for you. 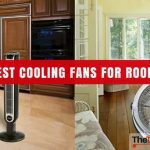 A Guide to pick the most suitable Bathroom fan to you.